The need for adequate security when delivering a confidential document is a pre-requisite for any eBilling and electronic document delivery project. It is vital for the sender that only the intended recipient opens and views the encrypted email attachment. Customers want confidentiality and assurance that the messages come from a legitimate source. Striata provides intuitive recipient trust that any Striata emailed document is from the sender that it purports to be from. SPF Record : Provides authentication to the receiving ISP (AOL, Gmail, Yahoo etc.) verifying that the email originates from the sender (invisible to the consumer). DKIM : Makes use of an authentication key to further verify the sender (invisible to the consumer). 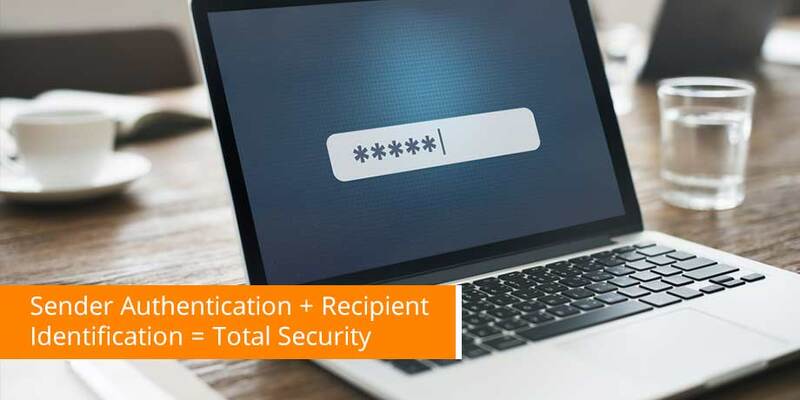 DMARC : DMARC standardizes how email receivers perform email authentication using the well-known SPF and DKIM mechanisms. Striata Verified : Striata includes up to 5 pieces of unique, partial customer information that is prominently displayed in the body of the email as proof that the sender has a relationship with the recipient. Personalization : The email is fully personalized to further enhance the communication validity. Offline viewing : As the secure document is attached, the recipient is not required to link through to any website (eliminating phishing opportunities). Complete offline viewing is available for both computers and mobile devices. Attachment authentication : The attached encrypted document may also be digitally signed to validate authenticity and integrity. Email access : Only recipients with access to the given email account can view the message and attempt to open the attachment. Attachment encryption : Striata email attachments are encrypted and can only be opened by a recipient in possession of a ‘shared secret’ that is known to that particular sender and recipient. This is usually a sufficiently unique and secret piece of information that is known by both the sender and recipient. Identification within the secure attachment : If required, additional entry fields are available within the secure attachment to further confirm recipient identity. Aside from security, what else is on your eDelivery solution checklist? If you answered YES to any of the above, then Striata’s Secure Electronic Document Delivery Solution is the ideal solution for your business.